I think "Ginger Rogers" (Anytime Annie) was going for the (Ouspenskaya ) look in the film "42nd. Street." Nice thought, Vallo--maybe Ginger studied under Maria?! Now there's a funny mental image. I just remembered one of the first times I saw Marie Windsor: she was quite a hissable bad girl (natch) in John Wayne's Trouble Along the Way (1953). Imagine! Marie thought it was okay to "entertain" a not-so-old buddy at home when the Duke was off coaching his football team. Come to think of it, I think she may have provoked Wayne to engage in fisticuffs. She probably won, though my memory of this may be fuzzy. I wonder how she liked working with the likes of Wayne Garfield and Kubick? Thanks, Christine. I'm glad that you enjoyed the latest profile. For info regarding those that Marie Windsor worked with, did you check out the site that I posted on Jan 5th. below? It's part of an interview she had with 3 other stars in 1999, and it may shed some light on your question. 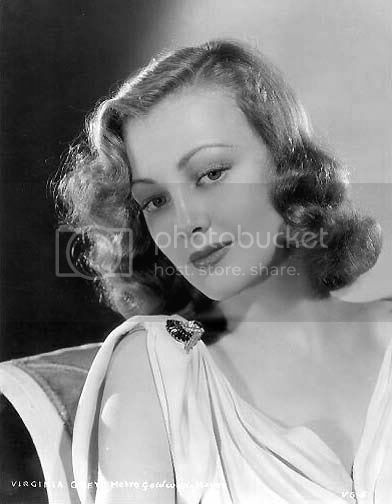 Have often thought that Melvyn Douglas' daughter resembles her. Thanks, Sam. I also noticed that Illeana Douglas resembled Marie Windsor, especially the eyes. By the way, she is actually Melvyn Douglas' granddaughter. I also have received an autographed picture from Marie Windsor, but that was back in the late 60's. It's interesting to note similarities of looks between some modern-day actors and those bygone ones. We (m'Lady and I) have noticed many who have either very similar features, or very similar mannerisms in acting style, or a combination. Perhaps (after I recall the ones) a post devoted to the matter could be in order. Ken, your lucky to have an autographed photo of Marie Windsor, especially from the 1960s. My photo is of a more mature Miss Windsor, and looking swell. > more mature Miss Windsor, and looking swell. Over the years that photo was lost. I think that it occurred in my last house move which was in 1990. I had no idea that Illeana Douglas is the late,great Melvyn Douglas' granddaughter. In the few movies I've seen her in I can honestly say she had talent.It seems she does mostly indie films,anyone know why? You're right on the nose with the Marie Windsor comparison.....it's uncanny! Leo Bernard Gorcey born June 3, 1917 was an American stage and movie actor who became famous as the leader of the group of young hooligans known variously as the Dead End Kids, The East Side Kids and The Bowery Boys. Leo Gorcey was the shortest and the oldest of the original gang. In 1917, 16-year-old Josephine Condon (Irish Catholic) already a mother at 14?gave birth to her second son, Leo, in New York City. Josephine and her 31-year-old husband Bernard Gorcey (Russian Jew) were Vaudeville actors and both were a little under five feet tall. Leo would eventually reach 5' 6". Always the most pugnacious member of the gangs he participated in, young Leo was the filmic prototype of the young punk. In 1921, his younger (and recognized) brother, David Gorcey, was born. In the 1930s, Leo's father became estranged from the family while working in theater and film. When he returned in 1935, he and David persuaded Leo to try out for a small part in the play "Dead End". Having just lost his job as a plumber's apprentice and seeing his father's relative success, Leo decided to give acting a try. Leo and David were cast as two members of the Second Avenue Gang, with limited stage time. Charles Duncan, who was originally cast as 'Spit', left the play, and Leo, his understudy, was promoted. Gorcey created a quarrelsome guttersnipe whose greatest joy was in making trouble. In 1937, Samuel Goldwyn made the popular play "Dead End" into a movie of the same name, and transported the six boys to Hollywood. Gorcey became one of the busiest actors in Hollywood for the next 20 years. 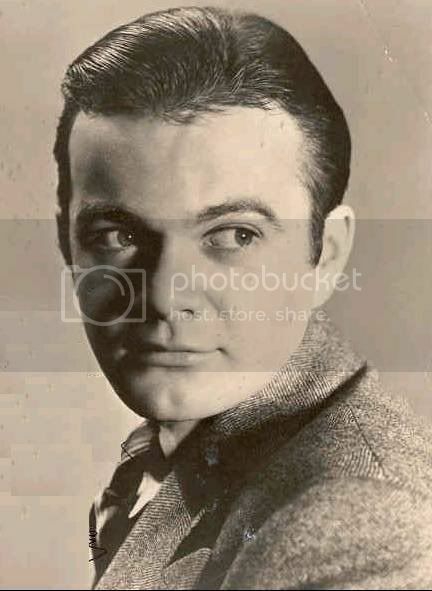 From 1937-1939, he starred in 7 Dead End Kids movies, where he played characters with various names including, "Crime School", "Angels with Dirty Faces", "They Made Me a Criminal", "Hell's Kitchen", etc. In 1939, Gorcey married 17-year-old dancer Kay Marvis, who appeared in four of his Monogram movies. They divorced in 1944 (she would later marry Groucho Marx). In 1949, Gorcey married Amelita Ward, whom he met while filming "Smugglers Cove". She gave birth to Leo Gorcey Jr. during their marriage. He would marry a total of 5 times. In 1956, after his father was killed in an automobile accident, Leo quit the Bowery Boys and was replaced in the last seven movies by Stanley Clements. In 1967, he published a limited edition (about 1000) auto-biography entitled, "An Original Dead End Kid Presents: Dead End Yells, Wedding Bells, Cockle Shells, and Dizzy Spells." The book is extremely rare and can be seen selling for as much as $300. In 2003, his son published his own book about his father, entitled "Me and the Dead End Kid." I've communicated with Leo Jr. and he is a real nice guy. Gorcey was famously removed from the cover of The Beatles' Sgt. Pepper's Lonely Hearts Club Band album after demanding payment. 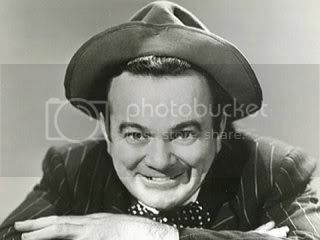 A heavy drinker, Leo Gorcey died from liver failure in 1969 at the age of 51, just one day before his 52nd birthday. His next to last film was a cameo in "It's a Mad, Mad, Mad, Mad World" as a cab driver. The Dead End Kids have a star on the Hollywood Walk of Fame. All 6 are now deceased. Thanks, Christine. Leo's father Bernard Gorcey was a riot as Louie the Sweet Shop owner in those Bowery Boys flicks. It broke Leo's heart when he was killed in an auto accident, and he just couldn't continue with the Bowery Boys anymore. Lovely starlet Virginia Grey started as a child in silent films and worked all the way into the 1970s, compiling over 100 films. Born on March 22, 1917 in Edendale, California, and grew up near Mack Sennett Studios where her father Ray Grey worked as an actor and director. Some of the young actress' at the studio babysat Grey, including Gloria Swanson. After her father died when she was eight, her mother Florence Grey took a job as a film cutter at Universal Studios, where Grey was discovered walking on the lot one day by a casting director, who cast her as Little Eva in the 1927 adaptation of Harriet Beecher Stowe's "Uncle Tom's Cabin". She appeared in a couple of more films before taking some time off for school and to study dance. Miss Grey made infrequent appearances in uncredited bit parts in her teens in such films as "Secrets" (1933), which starred Mary Pickford and "The Great Ziegfeld" (1936) starring William Powell. 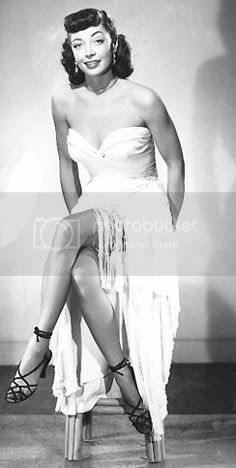 She eventually landed a contract with MGM Studios who cast her opposite Bruce Cabot in "Bad Guy" and Richard Arlen in "Secret Valley" (both 1937). Though she didn't set the screen on fire, she was considered a solid, dependable actress. Grey soon began landing leads in 'B' pictures and supporting roles in 'A' pictures. She appeared in such movies as "Another Thin Man" (1939), "The Hardys Ride High" (1939), "The Big Store" (1941), with the Marx Brothers, "Tarzan's New York Adventure" (1942) and "Bells Of Capistrano" (1942). One of her most memorable roles was that of a perfume counter girl who threw barbed comments at her social climbing co-worker played by Joan Crawford in 1939's "The Women". She left MGM in 1942, working freelance for virtually all of the studios, though the films ranged in quality from the forgettable programmer "Secrets of the Underground" (1942) for Republic Pictures to the minor horror classic "House Of Horror" (1946) with Rondo Hatton for Universal Pictures. She re-teamed with her "Tarzan's New York Adventure" co-star Johnny Weissmuller twice more. In 1946's "Swamp Fire" she vied for his affections with Carol Thurston, while in "Jungle Jim" (1948) she played a doctor searching for a cure for polio. Perhaps her best role during this time was that of Estelle Hohengarten in the Tennessee Williams adaptation "The Rose Tattoo" (1955). She felt that if most of her scenes weren't edited out, she may have been Oscar nominated. Also good in "Jeanne Eagels" as fading stage actress Elsie Desmond. She also worked in early television, appearing on such shows as "The Ford Theatre Hour", "Four Star Playhouse", "The Millionaire", "Climax! ", "Wagon Train", "Bonanza", and numerous others. Was a lifelong friend of producer Ross Hunter and in the 1960s appeared in almost all of his major films chief among them being "Back Street", "Madame X", "Portrait in Black" etc. Her last film was his 1970 thriller "Airport". After a few more television appearances, Grey retired in the mid-1970s. She had an on again/off again relationship with Clark Gable in the 40's. After his wife died and he returned from military service, Clark and Virginia were seen at restaurants and nightclubs together. Many (including Virginia herself) expected him to marry her.The tabloids were all expecting the wedding announcement. It was then a great surprise when he hastily married Lady Sylvia Ashley in 1949. Virginia was heartbroken. He was single again in 1952, but much to Virginia's dismay their brief romance was never rekindled. Her friends say that her hoping and waiting for Clark was the reason she never married. Was a frequent hostess of the Hollywood Canteen during WWII and sold war bonds. Miss Grey passed away in 2004 at the age of 87. She does not have a star on the Hollywood Walk of Fame. I always liked her, she was invariably elegantly turned out in the fashions of the day, too. I remember her not only in The Women, but in Portrait in Black and wasn't she also in one of the "Tammy" movies, with Sandra Dee? I'm of the opinion that the Hollywood Walk of Fame should be torn up by several of us here and then a committee of about 12 to 15 of us on this board should demand and command who should get a star. We'd surely do a much better job of it than the dolts already there. I know you'll agree!! Virginia Gray definitely needs a star. Illeana Douglas was a Guest Programmer on TCM a few months back and she chose several of his films.